Conquering the vast Pacific ocean by air was a challenge still facing aviators in the late 1920s. Ready to accept the challenge was Squadron Leader Charles E. Kingsford-Smith who on the morning of May 31, 1928 was prepared to takeoff from Oakland airport in California for an estimated 8000 mile journey over water on a flight to Brisbane, Australia. His aircraft was a Fokker C-2 powered with three Wright J-5 “Whirlwind” engines each producing 220 hp. Smith’s huge wood, tube and fabric tri-motor was named The “Southern Cross”. And with him for this record setting attempt was co-pilot Flight Lt. Charles T. P. Ulm; navigator Lt. Harry W. Lyon; and radioman James W. Warner. Both Smith and Ulm were Australians. Smith had trained as an RAF pilot in England in World War I and served on the Western Front. Lyon and Warner were American. The Fokker tri-motor was obtained second hand from fellow Australian and world-renowned pioneer Arctic explorer George Hubert Wilkins. Wilkins had used the tri-motor, named “Detroiter” which was powered with three Wright J-4 “Whirlwinds” rated at 200 hp, as well as a single engine Fokker named “Alaskan”. Both aircraft suffered damage while performing exploratory flights in the Arctic. Smith purchased the tri-motor and had Boeing restore the aircraft which included more powerful J-5 engines, new propellers, and long range fuel tanks. It was later flown to the Douglas plant in Santa Monica, California where further modifications included additional fuel capacity, beefing up the landing gear installing bigger, stronger wheels, rudder redesign plus painting in large letters SOUTHERN CROSS on both sides of the fuselage. In the meantime whatever financial support from the Australian government was withdrawn and they also withdrew any support for the trans-Pacific flight figuring it was too hazardous to succeed. Regardless, the bills continued to pile-up for Smith and Ulm with creditors breathing down their throats. Fortunately Capt. G. Allen Hancock, an American millionaire, purchased the aircraft and provided additional financial help so operations could proceed. First stop on the trans-Pacific flight was to Hawaii a 2408 mile flight of 27 hours and 25 minutes. Next leg was to Fiji ‘s Suva Island their longest leg of 3400 miles. It took 34 hours and was the most hazardous leg with the crew forced to fly hour after hour through weather so severe that survival became an issue. On June 8 they took off for their final over water leg of 1880 miles reaching Brisbane, Australia June 9. Their 8000 mile journey was completed in just 10 days, a record, and the first to conquer the mighty Pacific. The following article, “Flight of the Southern Cross” by Bob Arentz is reprinted from FLYING magazine, June 1953. Twenty-five years ago this month, the Pacific was first conquered by air from California to Australia. The ship was of wood – the men, of iron. When Capt. 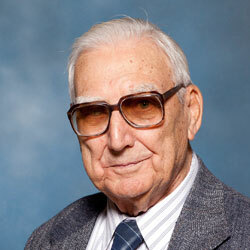 Charles Yeager slammed the Bell rocket ship through the sonic barrier every potential hazard had been considered scientifically, and weighed. Such “calculated” risks have been the basis of all great aeronautical advances. 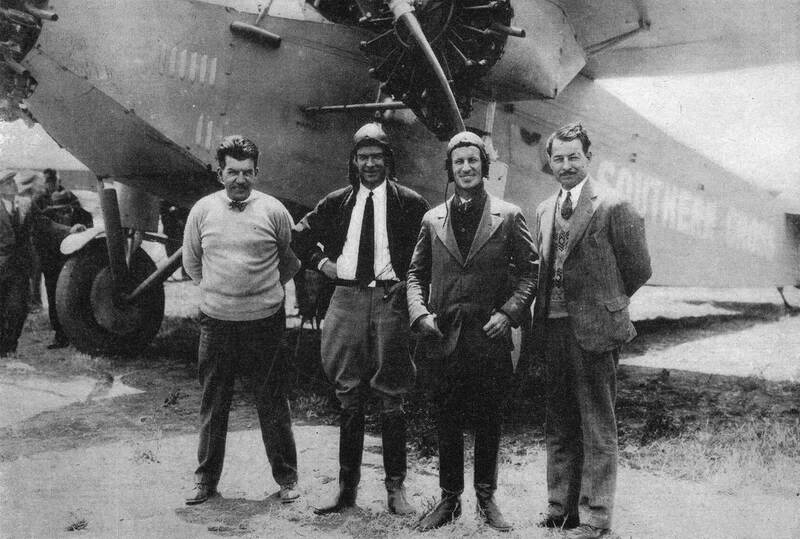 Lindbergh had flown the “Spirit of St. Louis” coast to coast before shooting at Paris. When the “Truculent Turtle” left Australia, when Max Conrad took his Piper over the Atlantic, when “The Lucky Lady” flew around the world, the pay-off was not a matter of chance, but of good planning. A quartet of superb airmen guided the Southern Cross on her perilous journey. Left to right, are her crew: Lt. Harry W. Lyon, navigator; Flight Lt. Charles T. P. Ulm, co-pilot; Squadron Leader Charles E. Kingsford-Smith, pilot; James W. Warner, radioman. Four men who contributed much to this heritage of planning-plus-daring are now almost forgotten by the public, but airmen the world over generally agree that the flight of “The Southern Cross” in 1928 should be listed among the enduringly great flights of history. “The Southern Cross ” was a high-winged, trimotored, Fokker monoplane, powered by three Wright J-5 air cooled, radial engines. It was a second-hand ship and the engines were not new. In 1928, instrument flying was still in its infancy and trans-oceanic weather reporting was on a par with sweepstakes lotteries. The Atlantic had been flown in 1927 and the number of people to cross it by air ran up to 65 or 70. But the Pacific had only been dented. The first hop to Hawaii was made in June 1927, by Lieutenants L. J. Maitland and A. F. Hegenberger in an Army Fokker trimotor. Two weeks later E. L. Smith and Emory Bronte reached Molokai Island with a Ryan monoplane, which they force-landed out of gas. The Dole Derby on August 16-17, 1927, was won by Art Goebel in a Travelair, with Lt. W. V. Davis navigating. Martin Jensen and Paul Schulter also made it safely. What happened to other contestants forever­more labeled the “derby” as the Dole Disaster. As a result, when Squadron Leader Charles E. Kingsford-Smith and Flight Lt. Charles T. P. Ulm, a pair of Australian RAF pilots, announced plans to fly from the U.S. to Australia, they met with every discouragement short of incarceration in a nut house. The Aussies teamed with two Americans, Lt. Harry W. Lyon and James W. Warner, respectively navigator and radio operator, and the quartet went doggedly to work to plot and execute the original trans-Pacific flight. Their first problem was money. Despite the golden flow of dollars in that era, ocean-flying capital was non­existent. The Aussie Government said “maybe,” and then backed down. A group of Australian businessmen also changed their minds. Finally a Californian, G. Allen Hancock, financed enough of the effort to make the project possible. They bought a second-hand airplane and engines to leave enough reserve money for a series of tests. For one thing, while testing, they stayed aloft for 50 hours, 7 minutes, to obtain cruise control data … and they set an endurance record. They carried varying loads up to 95 per cent of their extreme capability prior to taking off from Bay Island at Oakland, Calif.
During critical planning the four redesigned the rudder, beefed up the fuselage and put on stronger axles and wheels. They also got personally acquainted with every part in their three engines. Outside of standard engine gauges and airspeed indicator, their instrument panel comprised a bank and turn, a rate of climb and an earth-inductor compass. The pilots taught themselves to fly blind with that equipment. Life rafts and survival kits were unknown in those days, so they tucked emergency rations into the plywood, cantilever wing of the old Fokker and added a brace of hack­ saws to their tools. If forced down they were prepared to saw the wing free and use it for a raft. They even included a small still inside that wing to distill sea water if necessary. Navigator Lyon was a naval officer and rated as among the best of his day. Warner’s fame as a near-genius with radio qualified him for the select crew. Both Ulm and Kingsford-Smith were World War I flyers. All four men were in their early 30’s. Kingsford-Smith, later to be knighted as Sir Charles for his exploits, was a slender, sandy-haired ace with a sardonic smile. Nervous, brilliant, and a driver of men and himself, he carried a touch of the debonair English free-hooter from Elizabethan times into the 20th Century. If Ulm were alive today and back in his youth, Hollywood would lose no time casting him in his own role as a daring and very handsome pilot. He had dark curly hair, a boyish face, a friendly smile, and was a superb, precise airman. Harry Lyon was a stocky, round-faced, young man with bushy eyebrows and a black thatch of short cropped hair. Warner, whose mild physical appearance was most deceptive, was blond and fairish, with a dapper mustache and a keen wit. In flying the Pacific, “The Southern Cross” averaged 88.1 mph for 83 hours, 15 minutes of flying, while crossing 7,400 miles of open water. She flew through nearly 3,200 miles of instrument weather, hours of it with overloads so heavy that she was constantly in danger of stalling in the severe turbulence. The Southern Cross carried a gross load of 15,807 lbs. when she lifted from Oakland for Honolulu on May 31, 1928. Her three Wright J-5 engines provided an approximate total of 650 HP for take-off at full throttle. Historic take-off is pictured here. The take-off run at Bay Farm Island Airport, Oakland, was begun atop a steep wooden ramp for a gravity-assist in getting the overloaded airplane started. It was May 31, 1928, and any gambler in town would have given 20-to-1 they would never see Australia. Twelve hours later they had climbed to 4,000 feet to get above the clouds into the light of a full moon. At 12:17 p.m. on June 1, they landed at Wheeler Field, 2,408 miles along the way, after an essentially uneventful trip. What lay ahead was something else again, but it was impossible to foresee the raging hell of storm coming up from the Fiji Islands. On June 2, they flew 100 miles to Barking Sands Beach on Kauai, and took aboard 1,300 gallons of gas. Runway conditions were ideal at 5:22 a.m., June 3, and the old Fokker surprised them when, with Ulm at the controls, she lifted off at 3,400 feet. An hour later they began their 30 hours of ordeal. A front extended deep and full across their flight path. The overloaded Fokker was so close to the stalling point that instruments were ticklish. They couldn’t detour. If they tried to climb on top, their cruise control was shot and the increased rate of gas consumption would have ended their chance of reaching Suva. They went under, wheels sometimes almost grazing waves of mountainous size, with a rain hammering the windshield. After several hours at wave top level they broke free and climbed to 1,500 feet. They were able to by-pass two additional fronts, but wasted gas, and finally got trapped in cloudy, rain-filled turbulence that shook “The Southern Cross” severely. The storm hammered them back to 500 feet in lowering darkness and the fabric popped with a drum-like cadence. Tons of water finally split the windshield and drenched the pilots until they were numb with cold. This went on for 12 hours, until everyone was exhausted and the pilots together were fighting to hold the controls. They blistered their palms and grew numb in their legs. Then conditions got worse, and they had to use precious gas for full power in an attempt to get on top and survive the night. At 7,000 feet they had a glimpse of a few stars but hit a down­draft that put them back to 6,000. It took half an hour to get back and another 30 minutes to break free at 8,000 feet. Dawn was an unhappy and drab affair. The grand-daddy of all turbulence over­took them in a lightning storm and they dropped to 400 feet above the water, where again they met headwinds and tropical deluge, and a fuel consumption rate one-third higher than estimated to that point. Warner advised by radio that their chances were 50-50 with the gas remaining. Somehow, 34 hours of flying brought them over the landing strip at Albert Park on Suva Island where they discovered that a field only 1,200 feet long was waiting to receive Fiji’s first aerial visitors. The runway was well hidden from clear approach by a row of trees. Kingsford-Smith was so numbed and tired he couldn’t walk a minute later, but he dragged the big ship in under power, plunked it down short and ground looped with a blast of power at the last minute when brakes failed to stop the roll. The beefed-up gear and fuselage held and an enthusiastic crowd lifted the crew from the plane. Their 34-hour ordeal had carried them 3,400 miles and they had a few gallons of gas remaining. The four rested until June 8, took off from the strip empty and flew to another beach for the fuel load needed on the 1,880-mile flight to Brisbane. The crew had been through so much on the previous leg that another storm between the Fijis and Australia seemed hardly more than anti-climactic. 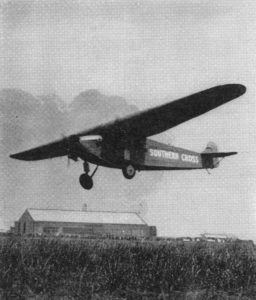 “The Southern Cross” reached Brisbane about noon of June 9. By now the Australian Government concluded the flight was a great idea and, after more than half of Sydney’s population turned out to cheer their final landing, a proposal to grant the crew an award of $25,000 was approved. Their backer, Mr. Hancock, wrote them a title of ownership for the plane and paid all remaining bills in a handsome gesture. Sir Charles went on to still greater glory. “The Southern Cross” saw him westbound over the Atlantic in 1930 with Capt. Patrick Saul and John Stannage and he then cracked the Pacific a second time from Australia to America in a Lockheed with Capt. 0. G. Taylor as co-pilot. Sir Charles was finally lost on a flight between Australia and England, swallowed up by jungle or sea. Ulm also kept on. He set a new speed record between Australia and England and ultimately was lost on another Pacific flight in December 1934, flying a de Havilland twin-engine transport, “The Stella Australis.” He was 19 hours out of Oakland, shooting for Hawaii, and was in radio contact up to the time of his crash, but the wreckage was never found. Both Warner and Lyon likewise continued their careers in radio and navigation. As for the old Fokker, “The Southern Cross” was given to the Australian Government for the national museum at Sydney. There she recalls to the folk “down under” the courage and faith of the four airmen who successfully made the first, and possibly the toughest, of all Pacific pioneering flights.